To ignite the church of the Americas in the power of the Holy Spirit to passionately fulfill God’s call to reach the nations. Churches make a lasting impact in their community. Pastors lead their congregations in personal evangelism. Individuals discover that evangelism can be as natural as breathing. Many Christians do not know how to confidently share their faith. Many Churches are not growing by profession of faith. Hinders people from fulfilling their God given purposes. We are called to train evangelists and help the church. We have discerned that a great need for pastors in training in personal evangelism. 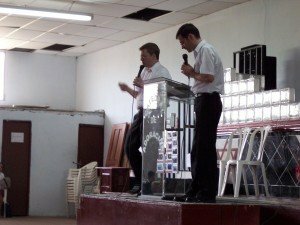 Pastors excited about evangelism and able to train their churches. Pastors passionate about reaching their neighborhoods for Christ. We are not called to be drive-by missionaries, but rather to work in partnership with the local church. The local church passionate about reaching the lost. The local Church equipped to share it’s vital faith. The local Church thinking through its strategy to reach the area it’s planted. Along the way, we have the privilege of actually doing the work of evangelism. People have come to faith in our workshops as we share the gospel wherever we go. Since Chris is an ordained pastor in the Presbyterian church, he preaches at churches large and small, always giving an invitation to find faith in Christ. He also models evangelistic passion which he hopes the church will catch. It is a privilege to serve Communion when the opportunity arises. 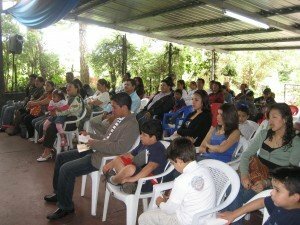 We carry this out by working in partnership with individuals, churches, and denominations, throughout Central America, South America, and North America. We are not lone-ranger missionaries. Rather we come along side the local church and assist them and serve their needs. Evangelism is not done apart from the work of the local church. We provide individual mentoring and coaching, plus teaching workshops at various church and regional conferences as churches see fit. Sometimes we are simply presenters at a conference, and at other times we are the organizer. To accomplish this, we need your ongoing support. We have been sent out with the covering of the Dunamis Fellowship International, a ministry of Presbyterian Reformed Ministries International in Black Mountain NC. 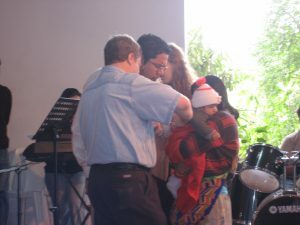 PRMI has been a vital part of our life for over 10 years and part of the “ethos” of our ministry. 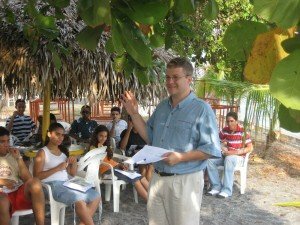 We have been vital in reworking their evangelism material and freely use their content in our teaching ministry throughout Central and South America. The demand for this material in Spanish is great and we are privilege to pioneer it. Donations to our work can be made through PRMI.